The X Series servo drive is for powering brushless or brush servomotors. 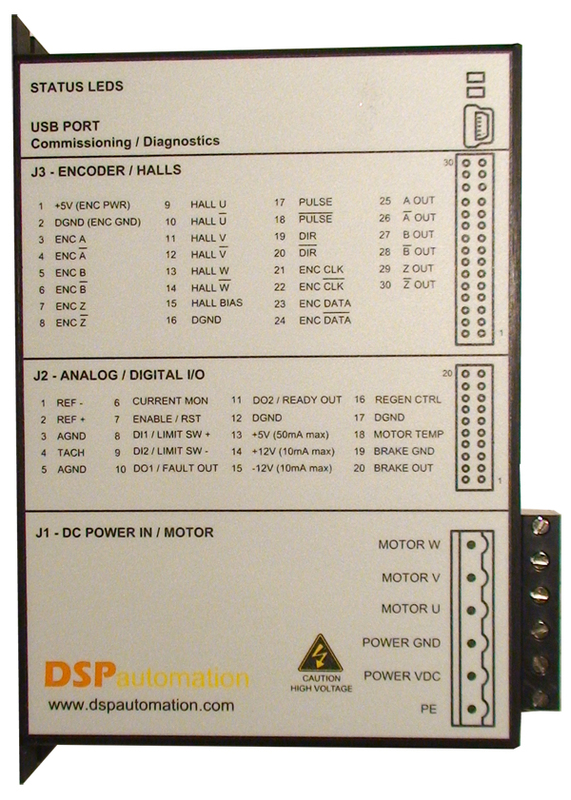 The VDC input bus allows for lower cost multi-axis solutions and space saving. Logic control power is internally generated from the dc bus. An option is available for 24 VDC isolated control power supplied externally by the end user. The small package design outputs up to 3.6 kW continuous power. 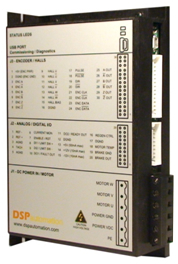 The X Series all digital servo drive utilizes a 32 bit digital signal processor (DSP) and 16 bit A/D’s and D/A’s for control loops and servomotor feedback inputs to provide ultimate high performance. The drive controls the failsafe brake and thermal sensing from the servomotor. Servomotor feedback is a determining factor in performance of a servo system. The X Series comes standard with BiSS and EnDAT 2.2 serial encoder or SSI interface. 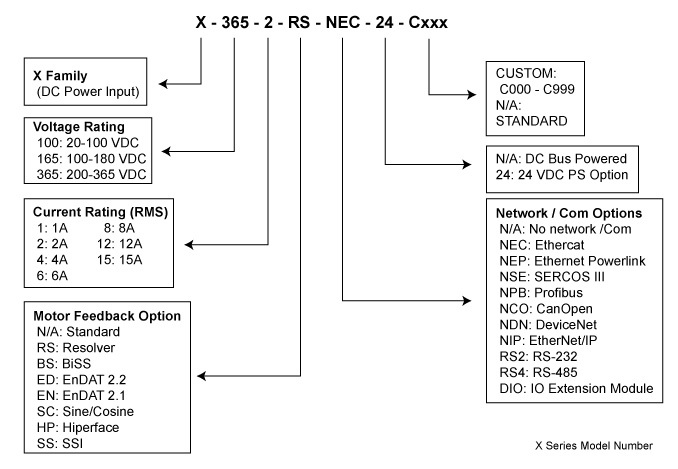 The X Series supports EtherCAT, www.ethercat.org and CANopen, www.canopen.org. Other networks are available on request.